Irmscher showed a concept study of a Coupe based on the Opel Manta at the IAA in Frankfurt in July 1987. The study considered all characteristics, which marked the then current vehicles of Opel's model line-up. The car had a 2.4 16-valve engine producing 185bhp with a catalytic converter. Irmscher complete wheels in spoke design (7x15) and a optimized suspension with lower springs to provide an optimal road holding and an exhaust system with twin tail pipes. The car looks very much like an Omega, an of note is the glassed-in B pillars and wipers hidden by the raised bonnet. As you can see from the picture the Manta styling is there in the door handle's and lock, fuel filler cap and the C pillar and roof line. Unfortunately, the car was not produced. 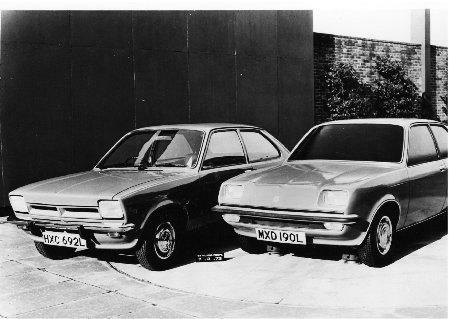 It is not known if the design was put to Opel as a possible replacement for the Manta or not.